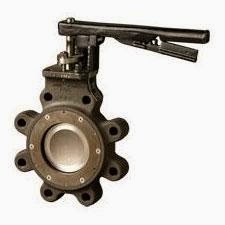 High performance butterfly valves (HPBV) are a standard in many industries including heating, ventilating and air conditioning, power generation, hydrocarbon processing, water and waste water treatment, and marine and commercial shipbuilding. They are also installed in applications as diverse as food and beverage processing, snowmaking and pulp and paper production. Configurations are available for harsh conditions as well as applications requiring nominal pressure and temperature ratings. 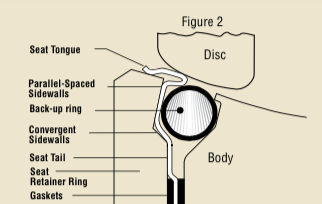 In Figure 1, the disc and seat are not engaged. 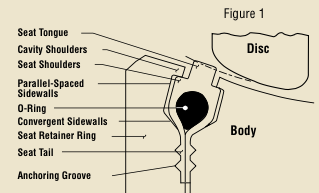 In this position, the shoulders of the seat are forced against the cavity shoulders by the compression of the o-ring. 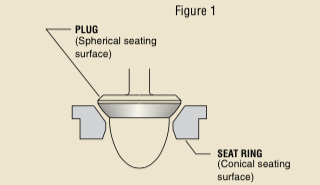 The seat is recessed inside the seat cavity and acts as a gasket in the anchoring groove area.The seat cavity is sealed from exposure from the process fluid and protects the seat from abrasion and wear. The o-ring, which is completely encapsulated by the seat, is also isolated from exposure to the process fluid. 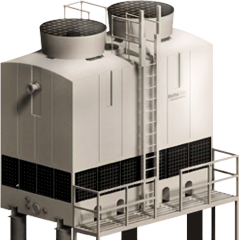 Here is a presentation that explains how to apply cooling towers, including the basic cooling tower principles, design considerations, and construction issues. The original presentation given in 2009 by Steve Lowe, PE to the Hampton Roads, VA Chapter of ASHRAE.